The Lava Slide is wet or dry and has a smokin’ hot look to go along with the wet fun it provides. 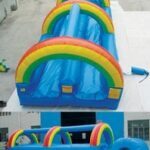 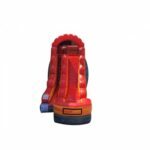 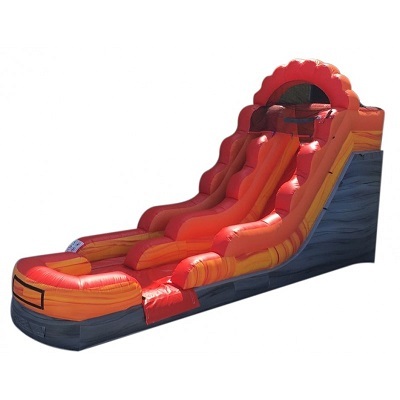 This unit can be used as a water slide for hours of slipping and sliding fun on a hot day or turn off the water and it works perfectly as a dry slide. 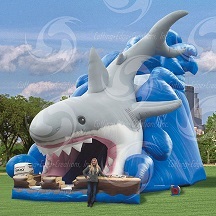 There is an inflated landing zone for safe use.